Johnny - Texas Top Quality "What can I say? You get what you pay for. But more importantly, you get to know your skull is being taken care of by, in my opinion, the very best protection offered by a top quality manufacturer when it counts the most...and without a brain, how can you experience your best riding adventure?" Full-Face helmets provide the best all-in-one protection for your head money can buy. Full-face helmets cover the back of your head to the front, under the chin and finally a visor to protect your eyes from road debris and sun glare. The full-face helmet market is big. As more and more states pass helmet laws and more riders opt for better protection the motorcycle helmet industry is red hot. Today's full-face helmets are nothing like the past. Full-face helmets not only provide the best protection but the features packed into current models offer optimum comfort and mobility. Plus, most helmets are now just so cool to look at riders can't wait to get their hands on one...or maybe get one on their heads! 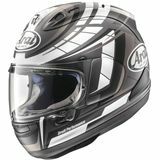 MotoSport offers one of the widest selections of full-face helmets on the web. We carry more than 350 different helmets, many more when factoring in styles and colors, from 20 companies. Our catalog of full-face helmets includes budget-friendly helmets under $100 to top-of-the-line feature packed helmets for the more serious, everyday rider. Whatever your choice - all our helmets come with SNELL and/or DOT certification. Stay safe and get a full-face helmet that fits best. If you have questions about sizing a motorcycle helmet give one of our experienced staff members a call at 888-676-8853 or chat with an expert. 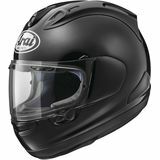 MotoSport is the best place to find full-face helmets. We have a 90-day return policy. MotoSport offers fast, free shipping on orders Over $79. Of course, what's a motorcycle helmet without all the accessories? We sell state-of-the-art communication devices with Bluetooth technology that allow you to talk to a passenger or riding partner and/or listen to music or make hands-free phone calls. We have a full inventory of replacement face shields and one of our favorites �?? helmet cameras. Look at our riding headwear to wick away sweat and moisture and help you weather even the toughest Mother Nature can throw at you.